HEY, welcome back to GP! You should probably check this thread out here if this is your first time back on the forum since our upgrade. Suffice it to say, some things have changed! CLICK HERE to read more about it, including some new functionality. Welcome to another Prize Vault giveaway. 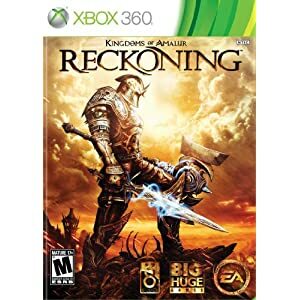 For this featured package, one active forum contributor as voted on by the Game Podunk Moderators will win Kingdoms of Amalur: Reckoning on the console of their choice along with a number of other random prizes! Please note that the Game Podunk Moderators will be choosing a winner based on the quality of threads and comments they have posted over the past month. As usual, winners are contacted through PM and will have 2 business days to respond or another winner will be selected. Remember that the idea behind the Prize Vault is to offer our members an incentive for contributing great forum posts and to improve the overall quality of our discussions. Hence, spamming is strictly forbidden and won't be tolerated. Members who are suspected of or seen leaving massive low quality posts will be warned and possibly banned. Please leave thoughtful and respectable comments to help GP maintain our high standards for quality content. And thanks to our dedicated Editors, we now have plenty of stories to post your say! Check out the GP Press Forum and start increasing your post count while supporting GP to carry on great discussions. Best of luck and as always, good luck everyone! Disclaimer: Game Podunk does not guarantee the working condition of the used games and will not offer a replacement or an exchange for defective/incompatible products. Most of the used games we ship have been donated to us and may not have been tested. As always, Game Podunk offers a great title as a prize. Good luck to everyone! 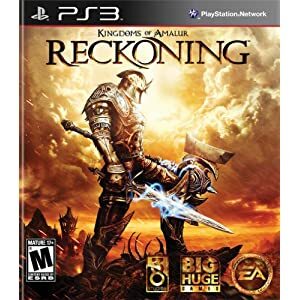 I've heard a lot of positive hype about Kingdoms of Amalur. Oh wow the rule have changed again ^^ So no randomness now? Well thanks as always for the contests!! For the prize vault specifically, yeah, there's no randomness anymore. The winner is based on a member's contribution to the community and the quality of it (leaving good comments or creating interesting threads). Aww Yea been wanting this game, but not enough to pay for it! Kingdoms of Amalur is pretty good, yeah. Has some issues but what game doesn't? Such a sick looking game. I watched the gamespot playthrough with commentary from the lead designer Ian Frazier and I was literally blown away. This game looks super exciting and I would love to play it. Also glad to have this contest back up and running, and to have the opportunity to win yet another awesome game. I didn't know a while lot about this game, but man, I need to play it now. Will be posting here a lot in the future. Great giveaway! I played the demo and this game is surprisingly very good. I really enjoyed the demo and thought it was great. Hope to win this and good luck everybody. Let the posting begin! I usually have less time coming back and forth to different forums to post. I will do my best to be active. Wait a minute! You can't rig it. I already did- erm, I mean, it's not fair to rig it. Wow, when you said that the switch erased accounts, I didn't except to see it had also nuked the forums & posts too. Well I guess sometimes it's good to have a fresh start. As for the topic, may I request my name be taken out of the hat? I obviously have the game and I think it would be weird if I won it too. Danke! Contest is officially over and the winner has been announced here! Please look forward to the next Prize Vault on 3/5/12!